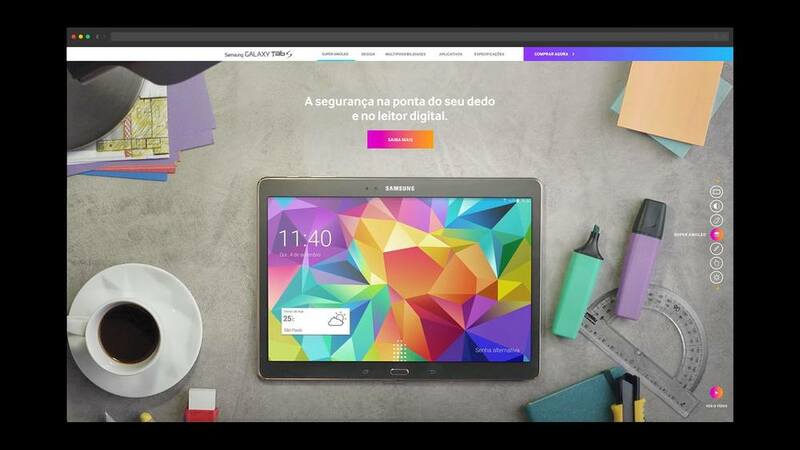 This is the video demo of the experience designed to launch the new series of Samsung tablets. It involves both live action and 3d animation to create a continuous flow of images as the user is taken through all the product's features. And here are some screenshots of the boards/models and website design.